If you were waiting for the arrival of Android 7.0 Nougat on your BQ-5059 Strike Power, then here is a good news. Those who were wondering to install the latest Stock ROM Firmware on your device, can now rejoice as they can flash the latest software on their device. 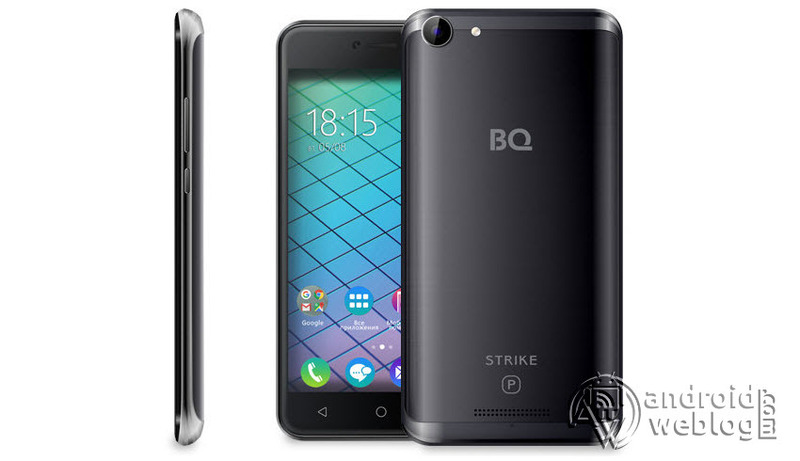 BQ has officially released the Stock Android 7.0 Nougat for the BQ-5059 Strike Power. The Android 7.0 Nougat is latest, and predecessor to the about to be released, Android 8.0 O software. The Official Nougat Firmware comes with the various Bug fixes, Security patches, and improve overall stability of the device. So, if you own a BQ-5059 Strike Power, you can install the latest update for your device, which comes with BQru_5058_7.0_07, and is based on Android 7.0 Nougat. The update often aims to increase system stability and increase the performance of the device, as well as adding new features. All BQ-5059 Strike Power owners may already received the OTA Update notification on their device. You might be already aware of the fact that Android Team fixes the vulnerabilities found in the operating system time to time, and releases the updates on timely manner. The OEMs, then push the Security Updates with patched/ fixed Android vulnerabilities in the form of OTA and Stock ROM updates. Updating your smartphone through OTA Firmware update do not delete the data. The BQ calls their smartphone, BQ-5050 STRIKE POWER as the ‘Personal Power Bank’. Thanks to the 5000 mAh battery, which can run the smartphone for long hours on a single charge. The bigger battery enables users to stay in communication as long as possible, while using all the functions, and users can charge other devices as well. Thanks to the MediaTek MT6580 quad-core processor, which enables users to work and play at the same time, ensuring lag free performance. The smartphone is equipped with a 5-inch IPS display with HD resolution of 1280×720 pixels. It runs on Android 7.0 Operating System, which makes the device fast and reliable. There is a 13 megapixels camera on the back, while a 5 megapixels camera is provided in the front side for the video calls or selfies. The 1GB of RAM ensures lag free performance, while the 8GB internal memory is there with the support of 64GB expandable storage. In the below guide, we will be guiding you step by step process to flash/ install latest BQru_5058_7.0_07 Android 7.0 Nougat on BQ-5059 Strike Power. The download link for this Stock ROM has been added to the pre-requisite section. You can simply flash the Stock Firmware .zip or .img file manually through SP Flash Tools, if you have not received it through the OTA update. Step 10: Now, hook up/ connect your BQ-5059 Strike Power to the computer via USB slot. Connecting your smartphone will begin the flashing process automatically, and it requires simply a few seconds to complete. Step 7: At this point of the latest Stock Firmware Android 7.0 Nougat on your BQ-5059 Strike Power device has been flashed. Now, you may disconnect the device from computer. You will see the message with ‘Green Check mark’ with ‘Download OK’ message. Congratulations, you have successfully flashed BQru_5058_7.0_07 Android 7.0 Nougat on your BQ-5059 Strike Power device. If you faced any issue while flashing, then do not hesitate to let’s know in the comments section below.